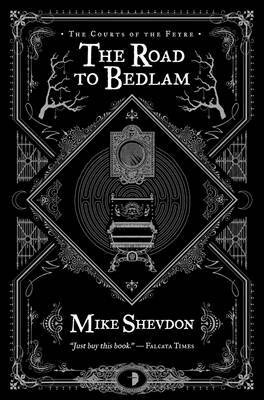 Mike Shevdon’s ‘The Road to Bedlam’ is another foray into the twilight world of the Feyre. Our Hero Niall has now been accepted into this world and is sent to investigate strange occurrences in a small fishing village somewhere on the North Sea Coast. Thankfully we do still have some London action in this one too, and this takes place in the infamous Bethlem Royal Hospital, commonly known as ‘Bedlam’. I think I enjoyed this book less because it wasn’t set as strongly in London as the first but it is still an enjoyable story, and one which you need to read fully appreciate the events of the third.